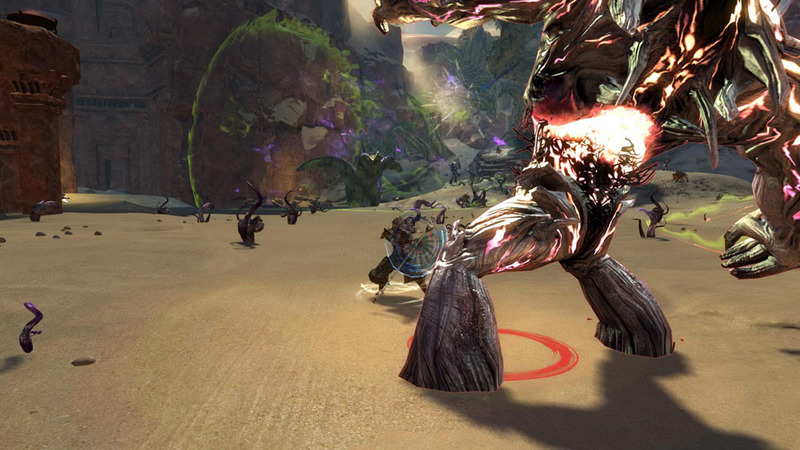 Last month, MMO Co-Opportunities featured part 1 of a hands-on preview of the upcoming expansion for Guild Wars 2, Heart of Thorns. In it, I gave some impressions of the new profession (the Revenant), one of the new elite specializations for the game (the Dragonhunter for the Guardian), and some thoughts of the general feel of the new zone. This month’s issue will focus more on the mastery system as well as two recently announced elite specializations: the Daredevil specialization for the Thief and the Herald for the Revenant. This past weekend was the second beta weekend for Heart of Thorns. It offered a bunch of new stuff that the first beta weekend didn’t include: the ability to go hands-on with newly announced elite specializations, a new area of the Maguuma Jungle to explore, and access to the new PVP mode were just a few of the new offerings. One of the first new things I tried was the Daredevil elite specialization for the thief. The Daredevil gains access to the staff as well as a whole slew of mobility options. The five weapon skills for staff include one retreat ability and two abilities which allow the Thief to re-engage into the fight. The highest tier of tactics (the Grandmaster tier) for the Daredevil specialization actually change the functionality of the Thief’s roll ability: a dash, a ground slam, and a flip while throwing daggers. This allows Thieves a whole lot more versatility when it comes to using their dodge key. To go along with this, there are several abilities and tactics that grant Thieves endurance gain, so they can use the dodge abilities more. I found it to be a very exciting specialization - one that really changes the options of the profession. For the rest of my time playing, however, I went back to the Revenant I had played last beta weekend. This time I had access to the Herald elite specialization which I enjoyed a lot. The Herald specialization grants Revenants access to the shield offhand. I chose to equip sword and shield and found that it fit my playstyle better than the weapons I had been using before. It was a good balance of offense and defense. I also played around a little with the Glint Legend, which is based around Facets. 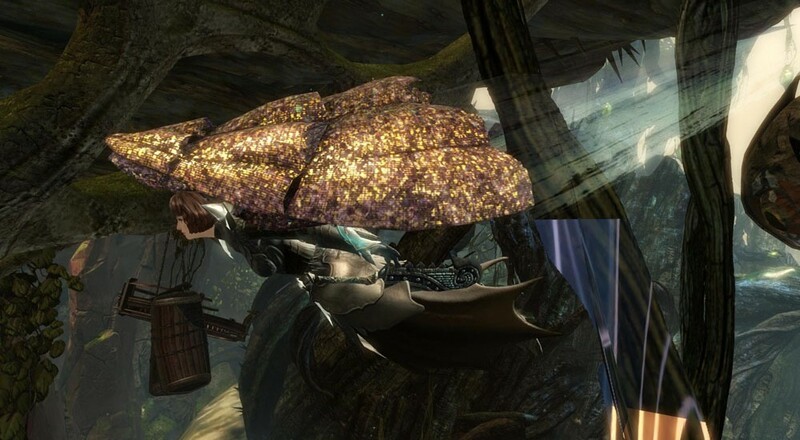 Facets felt a little like Mesmer mantras meets Guardian virtues in GW2, or a little bit like maintained enchantments in GW1. When activated, facets require energy upkeep (denoted by regen or degen pips next to the Revenant’s energy meter). A skilled Revenant should be able to keep more facets active in combat than they have energy pips for by gaining energy by attacking enemies. Revenants such as these will probably be highly sought after in groups, as all of the facets act like auras that can greatly benefit party members. Since I wasn’t in a group, I didn’t play around with them too much, but I look forward to messing around with them more. 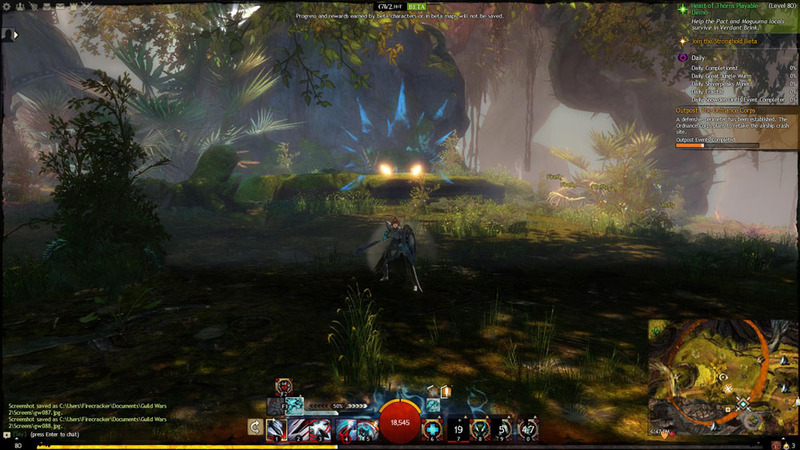 I definitely miss my monk from Guild Wars, and this is the most similar mechanic I’ve seen thus far in GW2.